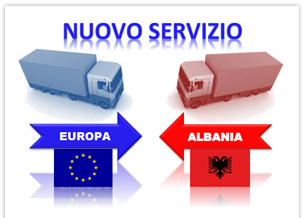 Transports from Europe to North Africa are our mission. We can solve any transportation need with the best and most updated vehicles currently operating on this line. The company was established in Bra in 1927 when the transport of salt and coal was of vital importance for the companies and people living at that time. Germanetti Trasporti rapidly developed and consolidated its business in Piedmont and Italy. 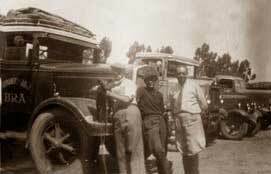 In 1930, our first vehicles reached the North African coasts supporting the expansion abroad of Italian companies. The company Germanetti Trasporti was established in 1958 and with its services it has helped companies to take their names beyond the national borders. 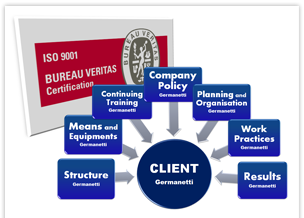 Germanetti Srl believes the association is always a fundamental value for its growth, as well as a set of ideas and concrete operations necessary to create a network able to improve the communication of data and contacts, in order to facilitate the achievement of specific objectives. We decided to invest in the enhancement of the associations, to which we belong and through which we develop part of our business, confident that this involvement would be beneficial for the creation of an all-Italian network, useful to the development of public relations, both in national and international enterprises’ area. 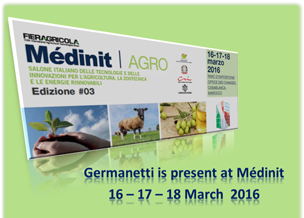 The New opportunity of Germanetti S.r.l. Direct line to the Maghreb Area. Business for 5 billions Euros in the Mediterranean area.